We are all slightly out of balance in different ways and are trying to understand our world better by having a certain system of working. We are used to categorizing and organizing things in our surrounding in order to make everything more clear and approachable. The grid is the support we use in many ways and many materials, everything from a metal grid to strengthen the concrete to math books and those for mapping and situating us on earth. It´s a tool we can use to try to keep within a certain frame. Harpa Dögg Kjartansdóttir’s MFA exhibition Reflections In Spatial Conversation can be experienced as a system within a system as a network connecting through supportive grids, a spatial relationship between combined fragments from diverse systems in a conversation, from personal to general. Harpa Dögg Kjartansdóttir (b. 1982) graduated from the visual art department of the Iceland Academy of the Arts in 2007, from the art education department in 2009 and is currently in the Master’s programme of Fine Art at Konstfack. She has participated in, curated, initiated and organised numerous exhibitions both domestically and internationally. Opening Wednesday 5 November, 5pm–8pm, in Vita Havet, Konstfack, LM Ericssons väg 14, Telefonplan. The exhibition is open 5–14 November. Welcome! 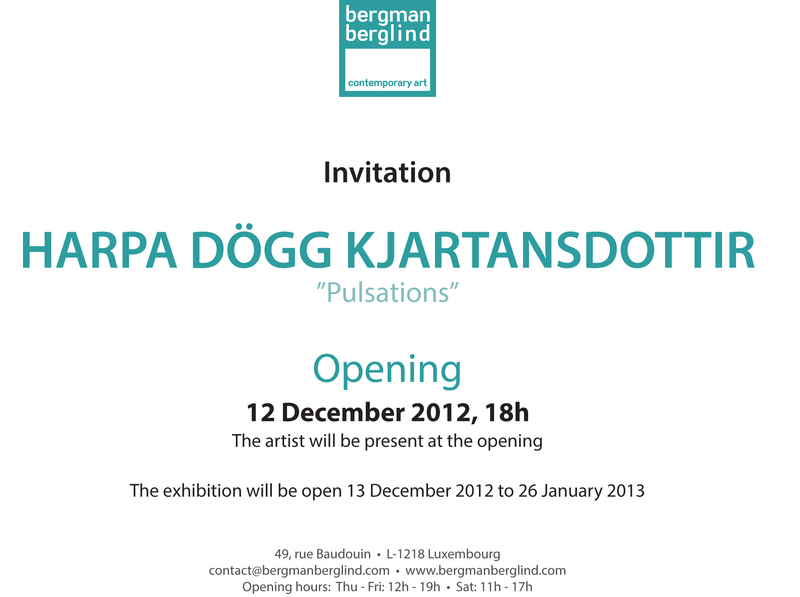 My next solo exhibition, Pulsations, opens on the 12th of December 2012 in Bergman Berglind Contemporary Art Gallery in Luxembourg. A new artist catalogue of my work will be published and available at the opening. Laugardaginn 18. ágúst mun Gallerí Ágúst fagna 5 ára starfsafmæli sínu. 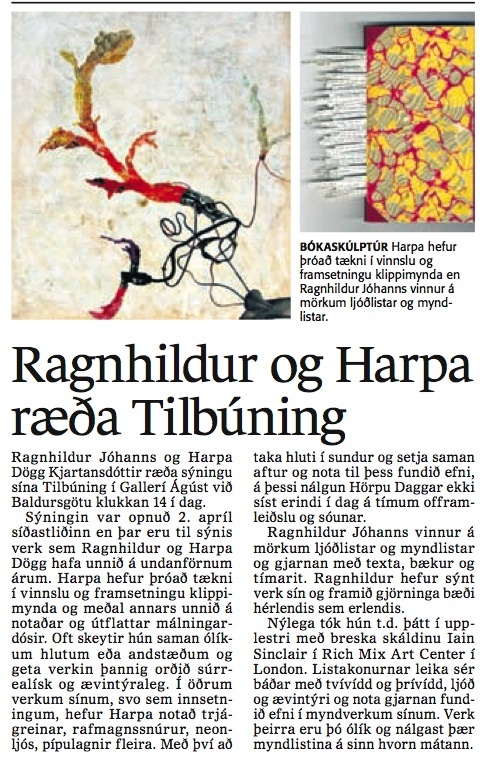 Í tilefni af þessum áfanga hefur verið sett upp óvenjuleg sýning í galleríinu sem er sérstaklega unnin fyrir rými gallerísins. Þrjár listakonur hafa unnið verk sín beint á veggi gallerísins og verðaveggmyndirnar myndaðar og prentaðar í takmörkuðu upplagi. Veggspjöldin verða númeruð og undirrituð af hverjum listamanni. Listakonurnar eru ólíkar og nálgast verkefnið hver á sinn hátt en þær eru Anna Hallin, Harpa Dögg Kjartansdóttir og Valgerður Guðlaugsdóttir. Þetta einstaka verkefni markar mikilvæg tímamót hjá galleríinu og vonum við að þú getir fagnað með okkur á laugardaginn. On Saturday the 18th of August Gallery Agust will celebrate its 5th anniversary. For this occasion an unusual exhibition will be presented were three artists create unique artwork directly on the gallery’s walls. The murals will be photographed and printed in limited editions. The posters will be numbered and signed by each artist. 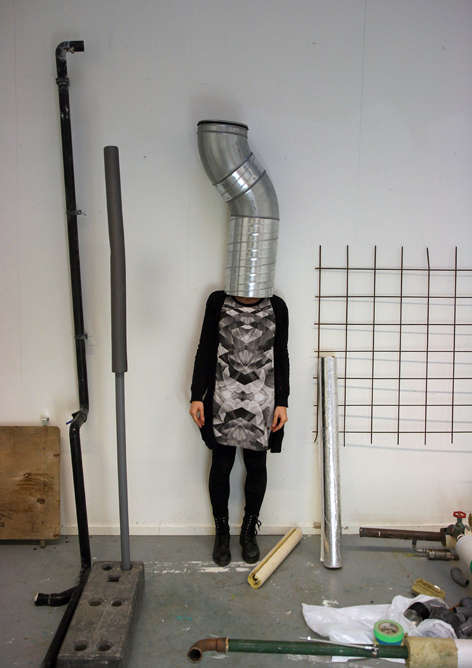 The artists, Anna Hallin, Harpa Dögg Kjartansdottir and Valgerdur Gudlaugsdottir are diverse and address the project with their unique approach and technique. This project marks an important milestone for the gallery and we hope you can join us and celebrate with us on Saturday. 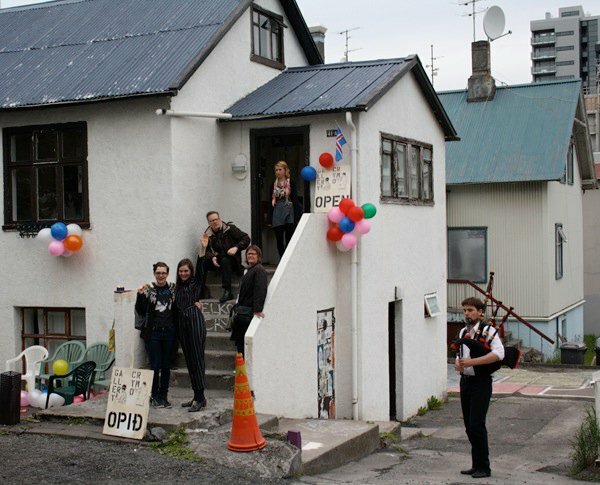 Harpa Dögg Kjartansdóttir og Ragnhildur Jóhanns munu leiða saman verk sín á sýningunni TILBÚNINGUR sem opnar í Gallerí Ágúst laugardaginn 2. apríl. Leika þær sér báðar með tvívídd og þrívídd og nota gjarnan fundið efni í myndverkum sínum. Sýningin TILBÚNINGUR samanstendur af málverkum, klippimyndum, prentum og myndljóðum. 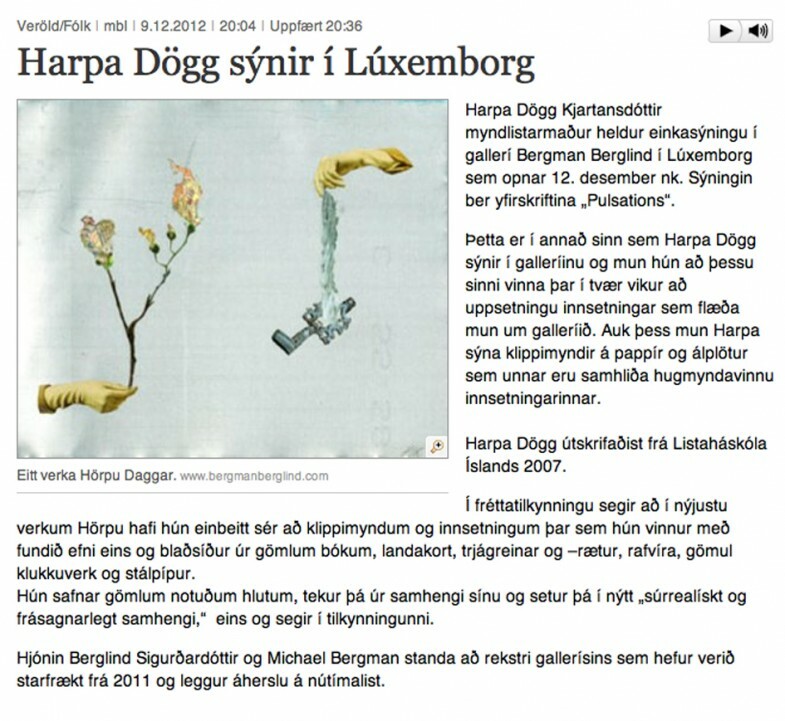 Harpa Dögg útskrifaðist úr Listaháskóla Íslands árið 2007 en Ragnhildur árið 2010. 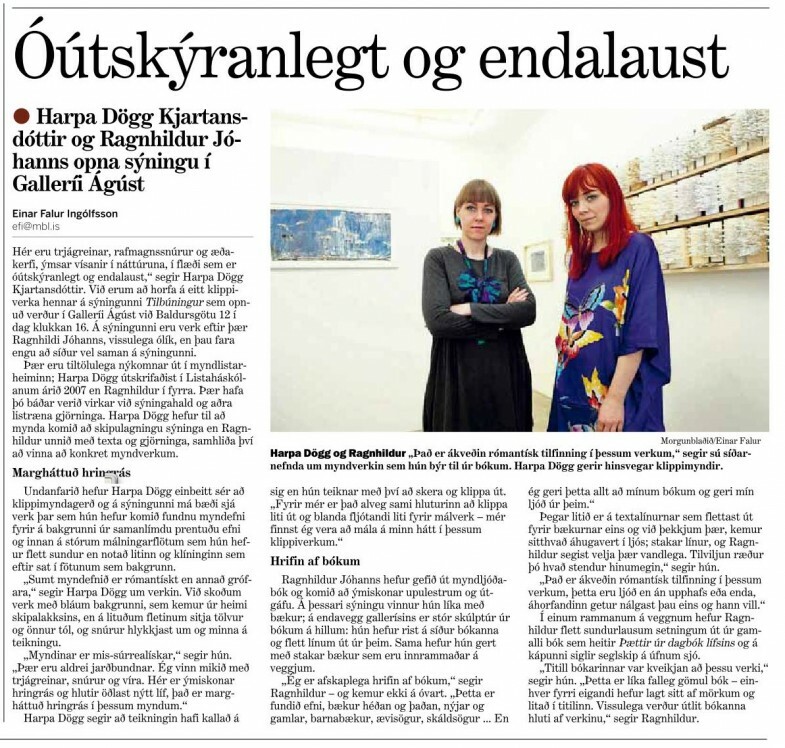 On Saturday the 2nd of April the exhibition FABRICATION opens in Gallery Agust, presenting the work of Harpa Dögg Kjartansdottir and Ragnhildur Johanns. 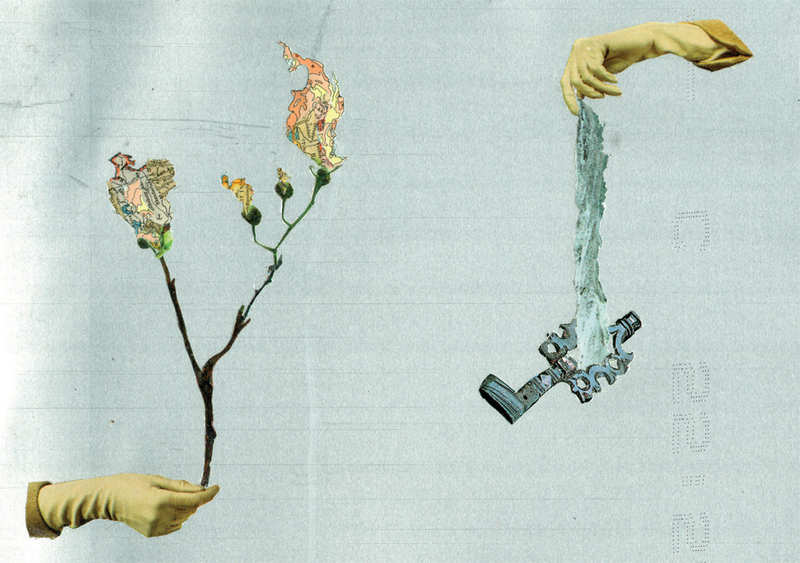 FABRICATION consists of collage, paintings, prints and sculptural poems. They both play with two-dimensional and three-dimensional material and often use found objects in their work. Harpa Dogg graduated from The Icelandic Academy of the Arts in 2007 and Ragnhildur in 2010. Welcome to the opening of the exhibition on Saturday the 2nd of April at 4 pm. international artist-run art fair in Stockholm 17–20 February 2011. For the second year in a row SUPERMARKET 2011 will take place at Kulturhuset in Stockholm. 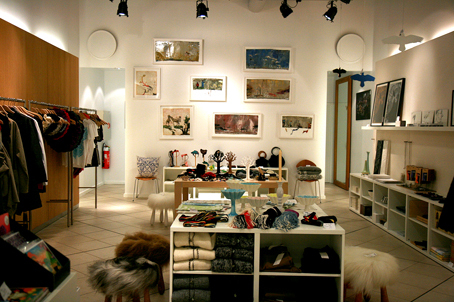 Gallery Crymo at Laugarvegur 41a, Reykjavík, Iceland. 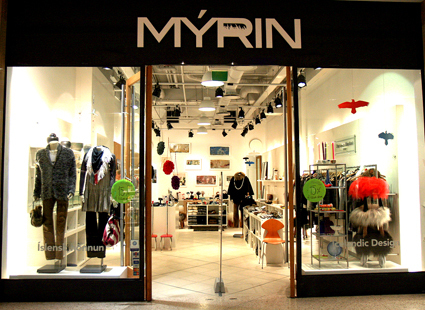 Crymo is an artist run and non-profit gallery in downtown Reykjavík. The gallery opened on the 17th of June 2009 with a group exhibition displaying work by 30 young artists. 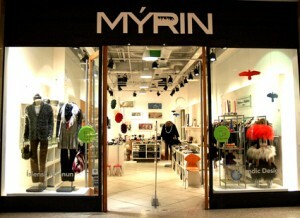 Það eru nokkrar myndir eftir mig í versuninni Mýrin, í Kringlunni / There are some of my work in Mýrin, in Kringlan, Reykjavík.